To have a good story one needs to build a good plot line for a reader to follow. But to turn a good story into a great story a writer should add facts to the narrative which a reader learns something new through the narrative. William Gilkerson has done that with his book Pirate’s Passage. And that is what makes not only the book a great read but the animated film worthy to watch as well. … (A)nd I sat down and tried to think about what to write about pirates, which had been my choice of subject for an important history essay. No doubt I had been inspired by Treasure Island, and imagined myself as Stevenson’s fictional Jim Hawkins, which is a name I like well enough to use here. Anyway, whatever vision of buried treasure on a lush, tropical beach that had once inspired me, it was now long gone, leaving me stuck with the assignment and my burdensome life in general. A hard gust rattled the old glass of my windows. I peered out into the gathering twilight, trying to conjure the Caribbean. Between snow flurries, I could see waves breaking even into the inner harbour; beyond, out in the bay, every shoal was clearly marked by white breakers. Then, unbelievably, I saw a small yacht, a simple working sailboat with tan sails and an old gaff rig, plunging in the seas, running for its life before the storm. The story starts with Jim and his family as they try to keep the family inn on the coast of Nova Scotia operational. A mysterious captain comes into their lives and helps the family through all their misfortunes, but most of all he helps Jim with his essay by almost enrapturing him with his interpretation of stories from the high seas. “It’s Dutch. That’s the language in which Esquemeling first published his book in Amsterdam in 1678. The copy I’ve loaned you is a later edition, from 1699. Are you enjoying it?” I had to confess I was finding it difficult to read, first because of the antique printing with S’s that looked like F’s; second because of the content was just a little more horrible than I was ready for. “As for your first point, sorry I don’t have a newer edition. It’s never been out of print, actually; very popular indeed. As to your second point, I presume you must have the Dutchman Rock Brasiliano, and read about his roasting Spaniards on spits, and the Frenchman Nau, called L’Ollonais, who tore open some unfortunate chap and cut out his heart and took bites from it in order to elicit information form his other captives. Is that what’s got you feeling squeamish?” It was indeed, particularly right at this moment, fresh after my close, personal disposal of Grendel. He seemed to read my thoughts. Gilkerson has written a book here with a simple and easy style. It flows well with it’s great combination of drama and information. A pleasure to read and absorb the story. The yawl Merry Adventure put her nose across the eye of a fair, warm breeze. Her sails filled on the opposite tack and drew; she picked up her skirts and bubbled along in a splendour of new paintwork, under a full flutter of flags. Passing our point, we lost sight of the wharf, and the family, along with Noel Nauss and the other well-wishers who had come to see us off on our adventure. Meg was there, and Jenny, jealous that she wasn’t going, too. My last view of them was Mother, waving her blue scarf. Merry’s bowsprit aimed to the open sea like a thrown spear, startling a flock of gulls; they rose from the water with a great flapping of wings, then soared into the summer sun, like my heart at that moment. “Yes, sir.” I jumped to it with great eagerness. 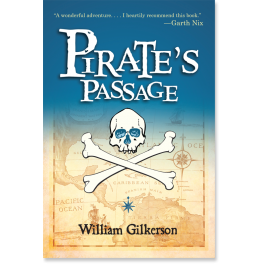 Pirate’s Passage by William Gilkerson is a wonderful journey filled with amazing facts mixed with an exciting narrative. A great read no matter what age the person may be. 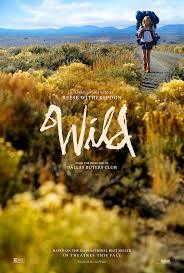 I have just come back from seeing the movie “Wild” starring Reese Witherspoon. Never have I seen a movie compliment a book so well. Noted author Nick Hornby has taken the themes that Cheryl Strayed used in her book and has written a script that director Jean-Marc Vallée could use to bring those touching elements to the screen. There is a lot of mindless dreck out there right now being passed off as good ‘value’ but both this movie and this book are a cultural phenomenon that deserve praise. The beauty of a good book is to bring culture to the attention of a reader. And that is what Frank Christopher Busch has done with his novel “Grey Eyes.” (Link to my review) Busch has carefully crafted a narrative that is brilliant to read while enlightening a culture that has suffered repeated horrors and repression. I was excited that Busch found a few minutes with accessible wifi to answer a few questions for me. 1) Could you go into details of what made you write “Grey Eyes?” How long did it take for you to write it? I was working with Indian Residential School survivors, conducting in-depth face-to-face interviews on the abuse they suffered as children incarcerated in those facilities. Many suffered horrific physical and sexual abuse while being indoctrinated into a foreign culture. The message I kept hearing was “I just want my culture back”. I began thinking about how to give someone a culture and decided that I needed to show them a life lived outside of institutionalized cultural genocide. A traditional, Indigenous life complete with the culture, language and governance structures that they were denied as children. I set to work in my spare time (while working 12-16 hour days) and finished the original manuscript in about 3 months. 2) How has the reaction been to “Grey Eyes” so far? Has there been any memorable reactions to it that you care to share? The reaction has been mainly positive with some harsh criticism which I ignore. I find that in the right hands, “Grey Eyes” gives Indigenous people a glimpse back into their own heritage, while also giving our allies a glimpse into a hidden corner of our collective cultural tapestry. 3) Who are your favourite writers? What are you reading right now? I always preferred Canadian fiction writers like Farley Mowat and Margaret Atwood. I have been reading a lot of Indigenous Canadian authors this year such as Thomas King, Richard Wagamese and Joseph Boyden. I am currently reading “Legacy” by Waubgeshig Rice. 4) Have you done any public readings of “Grey Eyes?” If yes, how was that experience for you? Has “Grey Eyes” been the topic of any book clubs? If yes, did you participate? I went on a national (and international) book tour this past fall covering most Western Canadian cities, Ottawa and Toronto and down to the US in Arizona, Nevada and Washington state. It was a rollercoaster all the way through, sometimes I would meet huge crowds raving about “Grey Eyes” and the next day I would be sitting at a lonely table in an empty book store. I have heard of several book clubs covering “Grey Eyes” and have had the honour of sitting with a couple of them. Authors are visiting book clubs via Skype and other social media more and more. I am incredibly extroverted for an author and love to be out there meeting readers and hearing their feedback. 5) Are you planning to do any more writing? If yes, are there details you can share? If no, why not? I have planned seven books in the “Grey Eyes” series and am currently working on book II, “Grey Eyes and the Teaching of the Bear” which I hope to have out early in 2016. 6) You seem to be active on Facebook and Twitter? How do you like being on those platforms in relation to your novel? I think Facebook is a great way to connect with readers. Twitter is more of a challenge for me, perhaps because I am a little long winded. I seem to inadvertently start a lot more arguments on Twitter than other social media platforms. 7) There are quite a few people trying their hand at writing fiction right now. Do you have any advice for them? Writing is fun, editing is hard work. Writing should be a daily activity. I heard another author say once that if you write 3 pages a day consistently, you would write 3 three-hundred page novels a year. I also advise against quitting your day-job as I haven’t and don’t ever intend to. If you were able to publish a best-selling novel every year, you would be lucky to make $10k/annum from the royalties. For the young people out there I say “Get your Phd first” as most successful authors are tenured professors. We have all had the desire to walk away from things in our lives at times. A death or a lost love thrusts us into questioning who we are and the need to just to get away for a while a figure things out comes upon. Cheryl Strayed found herself in such a quandary. And in turn she walked the Pacific Crest Trail through the rugged hinterlands of California, Oregon and Washington states. She documented her journey into a book called: Wild: From Lost to Found on the Pacific Crest Trail. And that book has now meandered it’s way to the movie screen. My solo three-month hike on the Pacific Crest Trail had many beginnings. There was the first, flip decision to do it, followed by the second, more serious decision to actually do it, and then the long third beginning, composed of weeks of shopping and packing and preparing to do it. There was the quitting my job as a waitress and finalizing my divorce and selling almost everything I owned and saying goodbye to my friends and visiting my mother’s grave one last time. There was the driving across the country from Minneapolis to Portland, Oregon, and a few days later, catching a flight to Los Angeles and a ride to the town of Mojave and another ride to the place where the PCT crossed a highway. At which point, at long last, there was the actual doing it, quickly followed by the grim realization of what it meant to do it, followed by the decision to quit doing it because doing it was absurd and pointless and ridiculously difficult and far more than I expected doing it would be and I was profoundly unprepared to do it. And then there was the real live truly doing it. Strayed has documented her journey up to and along the PCT in a lyrical yet simple fashion here. It is easy for the mind’s eye of the reader to envision the sights she describes and to feel the pains she had endured. Strayed has overcome difficult challenges in her life but her journey documents a moment of change for her which should be a guide for many people. I walked the rest of the afternoon with my eyes fixed on the trail immediately in front of me, afraid I’d lose my footing again and fall. It was then that I spotted what I’d searched for days before: mountain lion tracks. It had walked along the trail not long before me in the same direction as I was walking – its paw prints clearly legible in the dirt for a quarter mile. I stopped every few minutes to look around. Aside from small patches of green, the landscape was mostly a range of blonds and browns, the same colors as a mountain lion. I walked on, thinking about the newspaper article I’d recently come across about three women in California – each one had been killed by a mountain lion on separate occasions over the past year – and about all those nature shows I’d watched as a kid in which the predators go after the one they judge to be the weakest in the pack. There was no question that was me: the one mostly likely to be ripped limb from limb. I sang aloud the little songs that came into my head – “Twinkle, Twinkle, Little Star” and “Take Me Home, Country Roads” – hoping that my terrified voice would scare the lion away, while at the same time fearing it would alert her to my presence, as if the blood crusted on my leg and the days-old stench of my body weren’t enough to lure her. It is no surprise that this book was made into a movie. (Directed by Jean-Marc Vallée, screenplay by Nick Hornby and starring Reese Witherspoon) Strayed has crafted a considerate and heart-tugging book filled with emotions here. It is an easy read but one that one thinks about after one is finished with it. I reached for a washcloth on the shelf near the tub and scrubbed myself with it, though I was already clean. I scrubbed my face and my neck and my throat and my chest and my belly and my back and my rump and my arms and my legs and my feet. I didn’t remember it, and yet I’d never forgotten it. It was as much a part of me as my father saying he’d throw me out the window. More. I lay back and closed my eyes and let my head sink into the water until it covered my face. I got the feeling I used to get as a child when I’d done this very thing: as if the known world of the bathroom had disappeared and become, through the simple act of submersion, a foreign and mysterious place. Its ordinary sounds and sensations turned muted, distant, abstract, while other sounds and sensations not normally heard or registered emerged. I had only just begun. I was three weeks into my hike, but everything in me felt altered. I lay in water as long as I could without breathing, alone in a strange new land, while the actual world all around me hummed on. 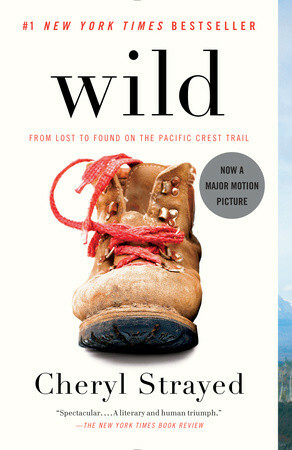 Wild: From Lost to Found on the Pacific Crest Trail by Cheryl Strayed is a lyrical and remarkable read that has meandered its way to the movie screen. The book may have one person’s feelings in it but it touches on thoughts and emotions we all have encountered. We all remember storytellers from when we were learning to read pronouncing who had written the book they were going to read from. But adding to the lecture to build our love of reading was usually a name of somebody who had illustrated the book. As we grew up, we may have forgotten that books are still being illustrated. Sarah Clement who recently illustrated the book Half For You and Half For Me, (Written by Katherine Govier) answered a few questions about her illustrations and gave some insight to the craft. I’ve had really positive feedback for the book so far. People appreciate the detail and comment on the unique style. I’d say the most popular image is for ‘Red Sky at Night’. 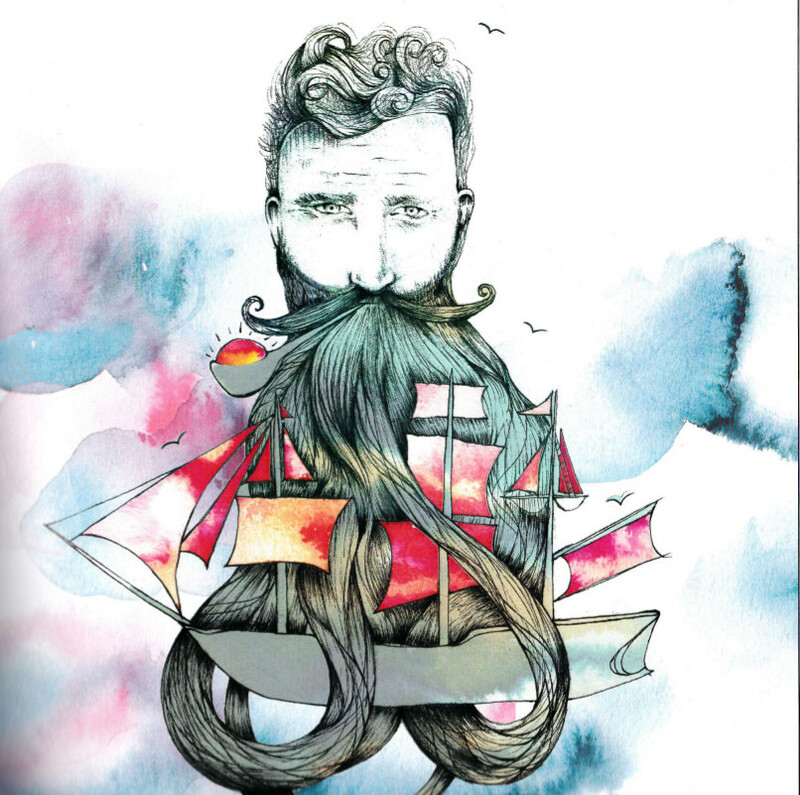 (The rhyme: ‘Red Sky in the morning,/Sailor take warning./Red sky at night,/Sailor’s delight.’) It’s a picture of a rather handsome man with a sailboat tangled in his crazy long beard, with a sun glowing at the end of his smoking pipe. People often joke that they feel like they’ve seen this hipster somewhere before! I’d have to say that ‘Red Sky’ is one of my favourites, along with ‘Winken, Blinken & Nod’. 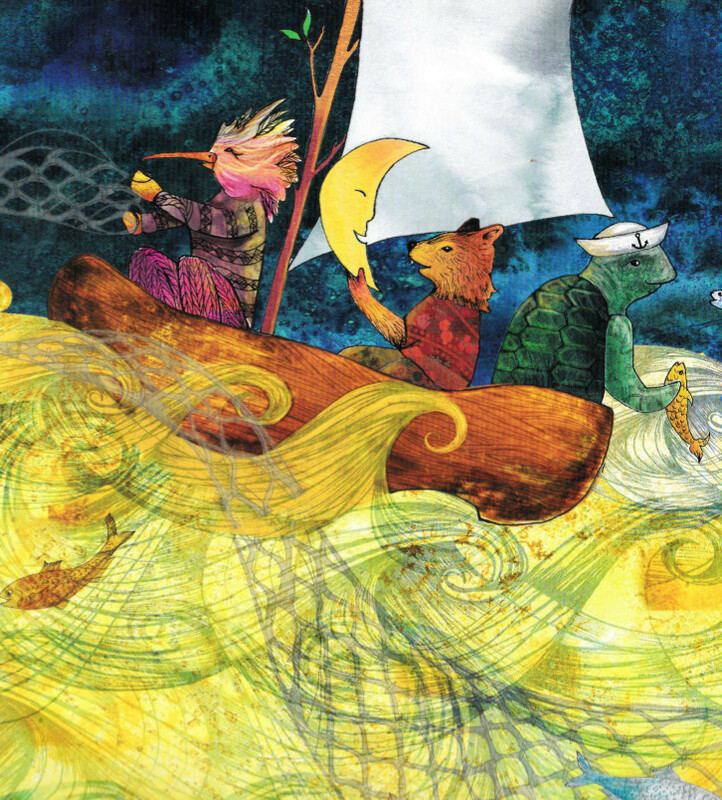 These little guys (pictured as a bird, fox and turtle) “sailed off in a wooden shoe/Sailed off on a river of crystal light/Into a sea of dew.” Before working on this book, I would often leave my backgrounds white, so it was quite the challenge to really fill and activate the space around the characters. I was really happy with how the golden waves and starry night sky brought this rhyme to life. Q: How did you get involved in “Half for you?” How long did it take you to complete all the illustrations? I was very lucky to have Whitecap books email me. Basically, the message was this: ‘Hi Sarah, would you like to illustrate a children’s book?’ I only had to think about it for half a millisecond,…yes! But it wasn’t just that, a couple years earlier, I was in a directory of illustrators called ‘Work/Life’ published by Uppercase Magazine. The art director from Whitecap found me through the directory, so it was definitely worthwhile being in it. This project was the biggest and most demanding project I’ve done. It probably took 8 months all together, with some very intense last months working on it every day. I feel I grew a lot as an illustrator through the project. Q: Have you given any lectures or any tours because of “Half for You?” If yes, what were those experiences like? Q: How long have you been illustrating? How did you get involved in it? Have you done any other interesting illustrative works? Well, I’ve been drawing for my whole life! I graduated with from Emily Carr University of Art & Design in 2010, but feel that I really started to develop and hone in on my ‘style’ just after that. So, I’d say for about the last 4 years. ‘Make, make, make’, has kinda been my mantra since graduation. Always fine-tuning my drawing skills, growing a portfolio and feeding my creative soul. I’ve worked on several album covers for bands, my artwork has been turned into temporary tattoos for a Berlin-based company ‘Tattster’ and I’m currently developing a line of greeting cards. I’ve also done a bit of editorial illustration and look forward to delving into that some more. I just launched my online shop www.lightandlinesstudio.com, where I’m selling art prints and greeting cards. It was a dream of mine for a couple years, so I’m really excited to have it out there in the world! Q: Are you based out of British Columbia? If yes, how do you like living there? I’m based in Vancouver, B.C. where I was born. I lived in Berlin for a year and about a year on the Sunshine Coast, but really feel that Vancouver is home. The Westcoast is so much a part of me. The thing I missed the most when I lived in Germany was the ocean…I would dream about that beautiful, open expanse, the salty air and the towering trees. I also feel like I’m part of a creative community here in Vancouver, one that is definitely growing. Q: Who are some of your favourite artists/illustrators? Is there one illustration that someone has done that you absolutely love? If yes, why? Some of my favourites include: Penelope Dullaghan, Lisa Congdon, Jon Klassen and Nigel Peake. I love the elegant, old-world style of Charles Van Sandwyk and the playful whimsy of Dallas Clayton. The list could go on and on. Q: What are your plans for the future? Are you involved with any other illustration work? My plans for 2015 are to focus on www.lightandlinesstudio.com, further developing a line of greeting cards & prints. I also want to do more editorial work, teach drawing classes and explore textile design. I’m currently working on a whole new series of drawings for a solo show in Vancouver. (at Kafka’s Coffee Feb 28th-Mar 30th). There’s so many things I want to do, and hey, maybe I’ll illustrate another book sometime in the near future! We all fell in love with reading because of the lyricism of a good story. Getting wrapped up in a good narrative with a great moral code and add a bit of a conflict is the great mixture of any good book. And Frank Christopher Busch has written a such a fantastic story with his novel Grey Eyes. A scream ripped through the cold winter night. The glowing lodges continued to flicker their fire light, as though not to notice or care. Wind whistling through pine trees was the only answer to the sound. The inhabitants of the other lodges remained quiet, both out of respect for Kitchi Manitou’s coming blessing and our of fear for the danger to mother and child. The labour cries came from a small and ragged lodge made of mismatched buffalo hides strewn together against the bitter cold. Bear lodge was the home of Walking Moon Woman, the grey-haired matriarch of the Bear clan. She shared her home with her tow daughters and their husbands. Her three elder children, boys, were gone, married into other clans as was the way of the Nehiyawak. Her sons tried to help when they could, but their obligations were to their new clans. The days of glory for the Bear lodge had passed, and its inhabitants struggled to prove their value to the village. For their hunters, fish were hard to catch, berries hard to find, and animals scarce. Times were hard for all of the Nehiyawak, but hardest for the Bear clan. Busch gives readers an engrossing story as we follow the Grey-Eyed boy from birth to maturity. We follow the young lad with the special gift as he learns not only the ways of his people but also what it means to be a man. Busch has used vivid descriptions here that envelop the mind’s eye of any reader to give a clear image of a scene. “Drum!” said Painted Turtle Man. The large fire in the centre cast a soft light on the faces of the gathered children. Soaring Spear Man held up a large elk-hide hand drum and boomed it four times. A few more children scurried into the lodge and took their seats. Outside, Grandfather Sun was setting. Darkness slowly settled over the village and the sound of many voices quieted to none. Painted Turtle Man took Little Grey Bear Boy’s hand and approached the fire. Whispering a soft prayer, the medicine carrier sprinkled medicine herbs on the fire, making it burn with blue smoke. The air began to vibrate with an ancient power and the flames of the centre fire burned low and blue. The smoke above the fire began to form shapes of animals. Rabbits and foxes, deer and raccoon appeared to be chatting and laughing together in a great forest. The figure of a sullen man entered from the south as the storytelling began. Busch has gathered elements of First-Nations culture in this book which illuminates them for not only his people to better understand but for others to gain insight from. The journey of the story of the Grey-Eyed boy becoming a man is in many cases a universal one and the lessons the boy learns along the way are important ones that are in many cases overlook and forgotten by many people. For the most part, life returned to the way it had been for generations. In his ninth summer, Little Grey Bear Boy devoted himself to Painted Turtle Man. Instead of playing with other children he was often busy learning the sacred teachings of the medicine wheel and the secrets of the plant world. He still had responsibilities to his family and would often pick berries, catch fish, snare rabbits, and shoot birds to contribute. Much of what he foraged he gave to the struggling Turtle clan. Blue Elk Man always smile at this, proud of his son’s generous nature. Little Grey Bear Boy tried to learn the Grey-Eyed magic, but he did not yet understand how it worked. Often, the magic manifested itself in those around him as he sat daydreaming. On more than one occasion, Little Grey Bear Boy turned his cousin into an otter or a duck as they swam, once he burned Painted Turtle Man’s hand with blue flame when making a fire for a ceremony. At no time did they feel the loss of Soaring Star Woman more than when Little Grey Bear Boy struggled to understand the magic in him. 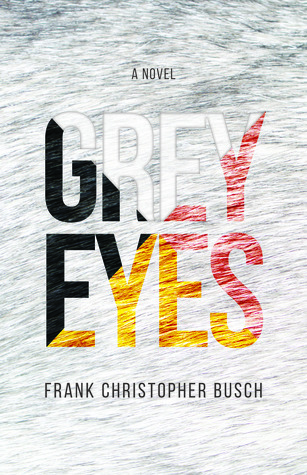 Grey Eyes by Frank Christopher Busch is a wonderful piece of literature. The narrative flows clearly and brilliantly. It is a great coming-of-age novel no matter what background the reader has. “Patience” and “Observation” are skills that are lacking in today’s society. And are we losing something within us when we don’t practice those skills? Are we alienating ourselves into dark corners when we fail to watch and consider the world around us? That is the impression one can get when one reads dead man’s float by Derk Wynand. to be a teacher. What’s to learn? you fold up and drop to claim your reward. with a childlike or a monkish grin. It is a joy to get lost in the descriptions Wynand uses for things we would take for granted here. He describes things like birds or the use of words that we would never take the time to consider on our own. A complex read at times but one that is worthwhile. out along the invisible line that time is, passing. Wynand has filled this book with complex observations and feelings. It was a joy to ponder the thoughts he came across with one by one. This is one of those books one needs to sit with in a quiet corner and carefully consider each well-crafted phrase. a pretty good act, convincing – whom? of themselves and slip into better roles. and all that comes between. 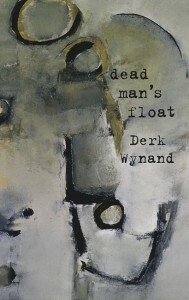 dead man’s float by Derk Wynand is an interesting collection of thoughts and observations. A great read to ponder and consider over and over again. There are certain thoughts and emotions we all have when we reach a certain milestone in our lives. Most of us internalize those thoughts and emotions – and the related actions they cause us to do – to our inner being and never mention them to anybody else. But is that very healthy? Andreas Gripp has boldly put some of those thoughts and emotions onto paper and given us The Better Kiss to ponder upon. Gripp has reached deep inside from somewhere and found some deep and profound thoughts then crafted some brilliant lines to describe what he is feeling. No doubt these are thoughts we all have had and dismissed, but Gripp has brought them forward for us to consider properly. with your rapid, nimble thumbs. in the oddity of a gigabyte. Gripp has created clear imagery here. His words flash understanding directly to the mind’s eye and comprehension occurs. But that is not to say there isn’t a need to re-read certain passages. The imagery that comes up again after re-reading is one worth pondering. and what’s right is wrong. where they surely ought to be. like the east-to-west path of sun. that only I will ever see. 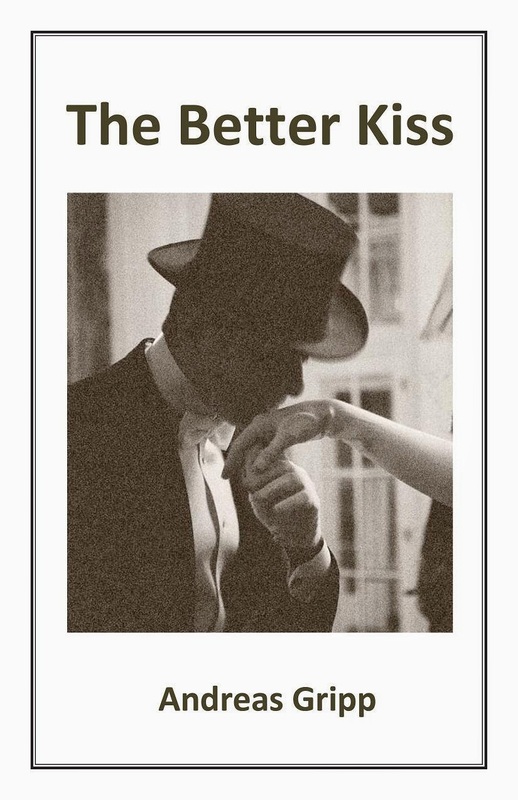 The Better Kiss by Andreas Gripp is an enlightening read to the thoughts and emotions we all have but never discuss. A great read and a great piece of literature.